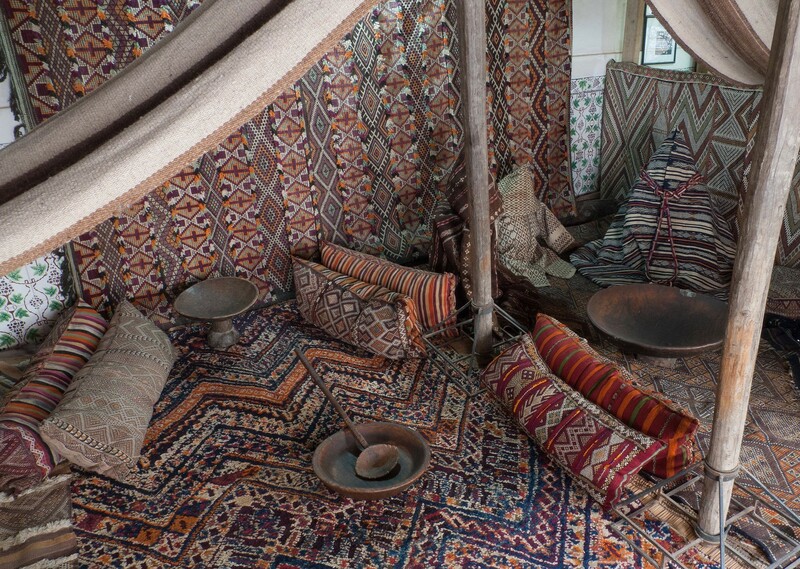 This museum was the private residence of Bert Flint and presents this collection of Moroccan rural art historian. The Tiskiwin Museum was founded by Bert Flint, who was born in 1931 in the Netherlands where he made his language studies and Spanish literature at the University of Utrecht. A visit to the Alhambra in Granada awakened in him a keen interest in the history of Muslim Spain and civilization of Al Andalus. On his first trip to Morocco in 1954, he could see that the architecture and the interior design of many private mansions in the ancient cities of this country are related to the same artistic tradition that inspired the art the Alhambra. More surprising for it was clear that the inhabitants of these houses live a life in which the daily quest for beauty in the presentation and elegance in the gesture seems the very purpose of existence. Andalusian tradition as it is still lived in Morocco is then revealed to Flint as a model of life and decided to settle in Marrakech (1957) to learn the various aspects of this urban tradition so perfect . Paradoxically, however, it is the visual and musical events of the Moroccan countryside which gradually caught his attention and that ultimately exercised such an attraction on its artistic sensibility that has become a nostalgic love of city tradition inherited Al Andalous passionate defender of Moroccan rural culture. In many aspects of it, he acknowledged the profound links between Morocco and the Saharan world and the African continent. It is a interesting alternative visit nearest Jewish town.